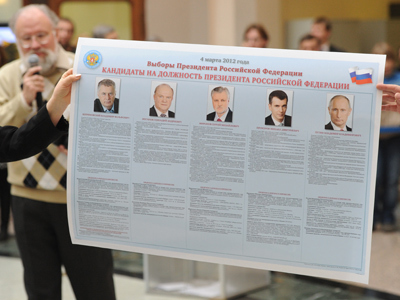 Presidential candidates from the Russian Communist and Liberal Democratic parties – Gennady Zyuganov and Vladimir Zhirinovsky - have accused the media of pro-Putin bias and demanded a fair presidential vote. “We prepared a statement…to voice our protest against elections which are illegitimate from the very beginning and show disrespect towards our citizens [who rallied in support of a fair vote],” Zyuganov said on Tuesday during his joint media conference with Zhirinovsky. “As of today, there are no fair elections,” he added. On Wednesday, during a State Duma session, the Communists, Lib Dems and Fair Russia are set to stage their official protest on the issue. Later that day, they will discuss the situation at a meeting with President Dmitry Medvedev. 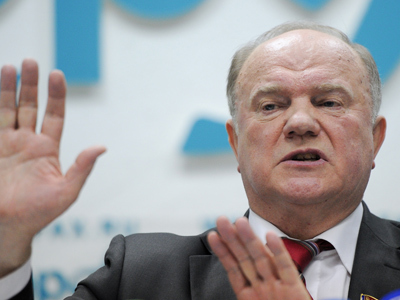 “We will demand that the guarantor of the Constitution guaranties normal elections, normal dialogue and debates [between the competitors],” Zyuganov announced. The main complaint of the presidential hopefuls is that, in their view, the media pays a lot more attention to another presidential hopeful – Prime Minister Vladimir Putin – while giving his opponents only “up to 10 per cent” of airtime. 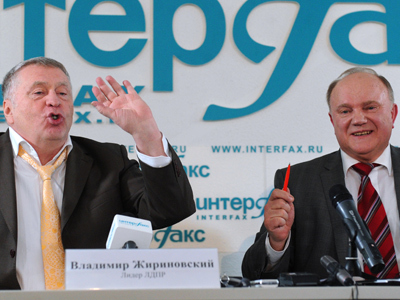 Zyuganov and Zhirinovsky also agreed that the media often take things out of context. The Communist and Liberal Democratic leaders are unhappy that Putin refused to take part in televised debates, opting to send representatives instead. According to Zhirinovsky, representatives can take part in campaigning, but only in distant regions – not on state TV. Zyuganov pointed out that following the State Duma election in December, his party worked out draft laws that, they believe, would help to make elections transparent and fair. 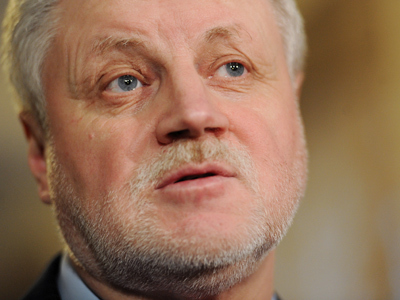 However, he said, the State Duma postponed considering the bills. The leaders agreed that their parties and Fair Russia must unite in an effort to provide a legitimate presidential vote on March 4. However, they do not plan to merge into a single political group. “LDPR will always remain LDPR… Only the weak ones unite,” Zhirinovsky stated, commenting on the matter. 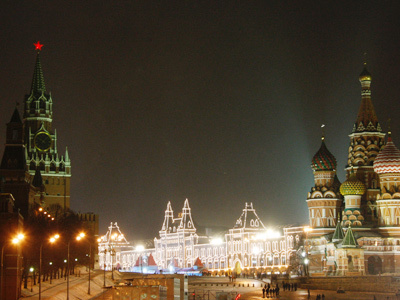 He believes that there should be three main presidential contenders – himself, Putin, and Zyuganov. 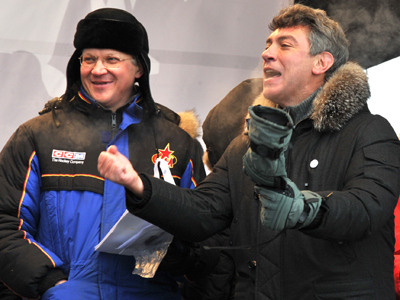 As for another opposition candidate – Sergey Mironov – the LDPR leader labeled him “a man from Putin’s team.” Independent candidate billionaire Mikhail Prokhorov also came under criticism for being a Kremlin “lackey”.